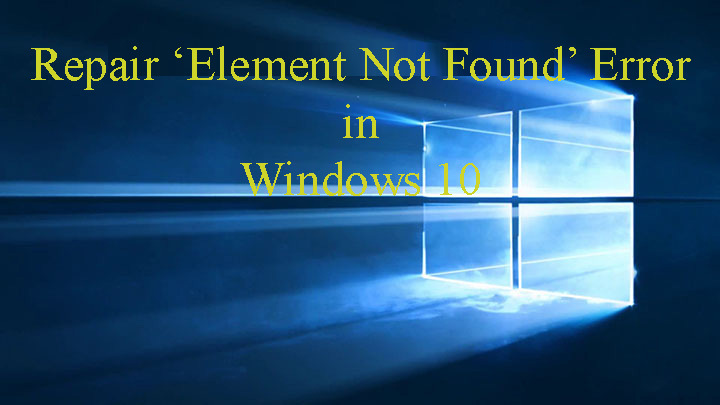 Users of Windows 10 reported about the latest error, ‘Element Not Found’. This error appears when users try to access Settings, Universal apps and other options, sometimes you will also get this irritating error when you try to open any image/photo of .jpg file format. Windows 10 “Element not found” error can directly influence the functionality and efficiency of Windows 10 system, and you get unable to access Settings, Universal apps. Fortunately, you can solve this irritating error, apply the below-given methods to deal with this error. It seems that some Lenovo applications are the main culprit of this error, if you are using a Lenovo system/laptop then it is suggested to uninstall some certain Lenovo apps from your system. Lenovo CAPSOD and OneKey Theater are the apps which are responsible for the Element not found error. By simply uninstalling this software from your laptop you can fix this issue. This trick is really effective, by uninstalling all windows 10 updates from your system/laptop you can fix this issue. So that, go to the Uninstall apps section and uninstall the entire Windows 10 updates from there. Note: uninstalling all the updates is not the best solution, so go through one by one. Uninstall one and check for the issue is fixed or not, If not then install the update again. Through this you can find out which one is causing this issue. Resetting or reinstalling Windows 10 PC or laptop may fix this issue. To reset your Windows 10 system you need Windows 10 installation disc or USB flash drive containing Windows 10 setup files. Don’t worry because this process will not affect your personal files even though it will remove your installed apps. Step 1: Open task manager by pressing Ctrl + Shift + Esc. 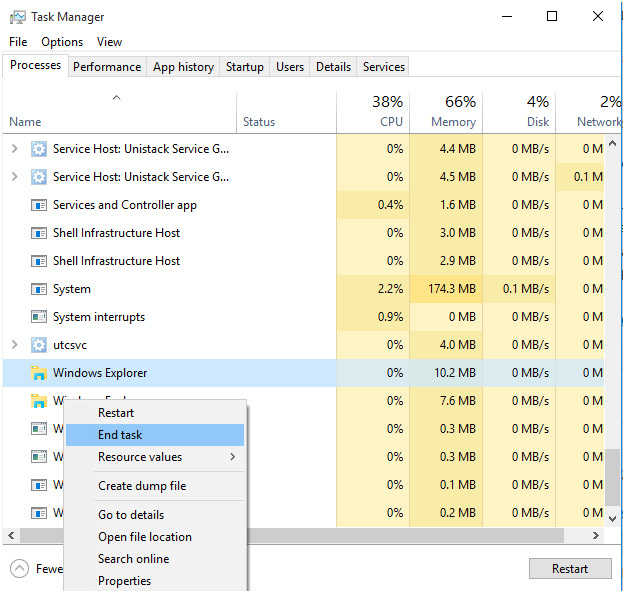 Step 2: Find explorer.exe (Windows Explorer) in the list of processes. Step 3: Right-click on it and select End task. Step 4: After it, go to File > New Task. Step 5: The Run window will open. In this window just type explorer.exe and hit Enter to execute it. Step 1: Go to the System Settings. Step 2: Then, navigate go to the Update & Security option. Step 3: After it, click on the View installed update history. Step 4: Now click on the Uninstall updates. Here, you will see a list of installed updates. So, remove the recently installed updates and make sure that the issue gets fixed or not. Corruption of system files may trigger the “Element Not Found” error message. So, in order to get rid of this issue, you should scan your system for any types of file corruption. Step 1: Press the Windows Key + X and select Command Prompt. Now select the Command Prompt (Admin) from the list. Step 2: When Command Prompt opens, enter sfc /scannow and press Enter. This command will scan the entire system files and fix them. Hence, it takes can take 10 to 15 minutes to accomplish. Step 1: Again open the command prompt as shown above. Press the Enter key to run this command. This command can also take approx 15 to 20 minutes to accomplish. In order to reset your Windows 10 computer or laptop, you need a Windows 10 bootable disc or USB flash drive. Note: This entire process reinstalls the Windows 10 computer without affecting your personal files. But, it will remove all of your installed apps. Step 1: Go to the Start and then Power Options button. Step 2: After it, press and hold the Shift key and then click on the Restart. Step 4: Click on the Troubleshoot and then select Reset this PC. Step 5: Here, you will see an option to keep your files or not. You should select the Keep my files option. Step 6: In this step, select the version of Windows that you want to reset. Generally, you will see only one option, so click on it. At last, simply follow the on screen instructions and wait to accomplish the setup process. According to computer professionals, it is necessary to scan your computer using a professional Window 10 PC Scanner. These types of apps are able to scan your PC deeply and fix all the available errors. 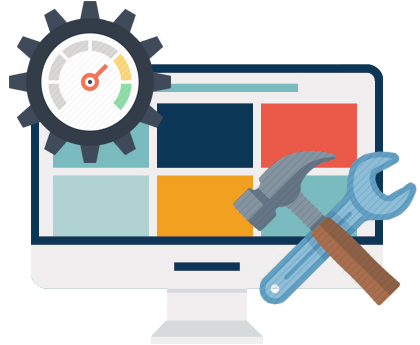 It is a completely automated way to fix and enhance PC speed. 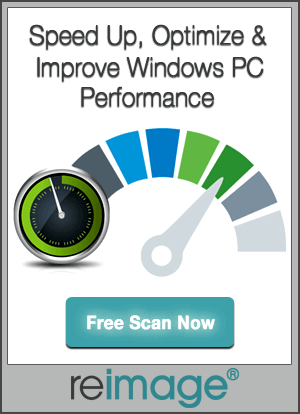 Scan your PC after a fixed time of interval and keep away from any types of error or issue.